District Administration publishes Education in Hand twice a year. 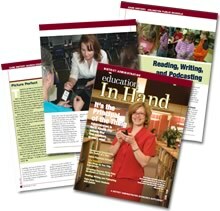 Education in Hand is described as a "custom publication for informational and marketing purposes." The publication is about marketing Palm handhelds, but the content is actually quite informational. The June 2006 issue is now available online. One thing I noticed is that Palm is really pushing its Treo smartphone into education. I do think it's a great choice for administrators, but I prefer nonphone handhelds for students. Don't worry, although Education in Hand's cover story is about Treos, the rest of the publication isn't so Treo-centric. "Sometimes, in a lab situation, it was hard for my students to describe in words what was happening," she says, explaining that it was often difficult for them to describe bacteria and other organisms observed under microscopes. "So I had them use the Palm computing device to draw what they saw." As the students show off their work and educate each other on newly discovered features of the devices, they learn more social skills, she says. She cites as an example an assignment she gave students to use the devices to take pictures of their pets and show the photographs to one another. "That gets them to communicate, because now they are discussing their pets and they are having back-and-forth conversations and they are asking appropriate questions," says Parsons, who heads Birdville High School's special education department. Also, don't miss the article, "Reading, Writing, and Podcasting." It focuses on Virginia's Arlington Public Schools' use of handhelds and podcasting. The link between handheld computing and podcasting doesn't seem strong from the article. But, there are certainly many ways for handhelds to play an important role in preproduction and listening. 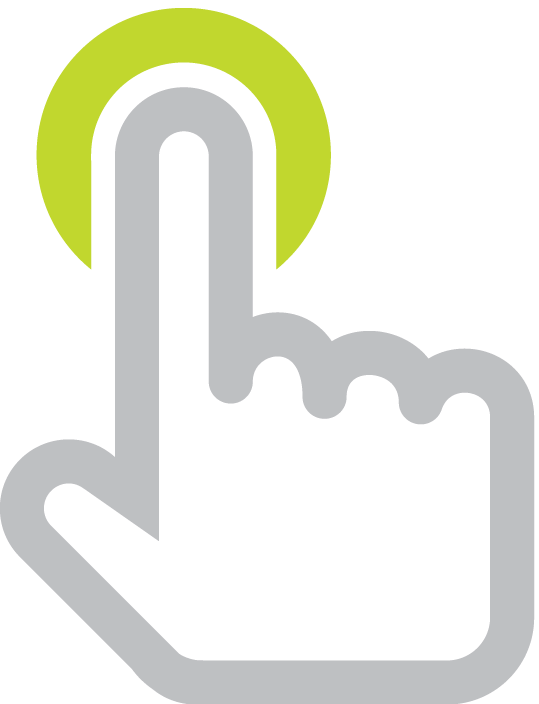 "We're in the digital age with these kids," says Heather Voran, an instructional technology specialist at Region 16 Educational Service Center. "They grew up with electronics and a lot of these programs are in a game format, but they're very instructional. The children are so busy having fun, trying to win or beat the machine, that they don't realize how much they're learning." You can read all 30 pages of June 2006's Education in Hand here.